Good merry Monday to you all. I hope you're well and looking forward to a new week. I always try to take time during my weekend to reflect on life, my worries and my hopes so I can start every Monday a fresh and ready for a new beginning. I'm always saying it but Monday's are my absolute favourite day of the week and with the new Confident Me A & E series I've even more excuse to look forward to it. This week however is Mental Health Awareness week and with that in mind we're doing things a little differently. This week we don't have a Guest Blogger as usual but something more like a Guest Non-Fiction Author. If you stay to the end I also have an exciting announcement so keep reading! 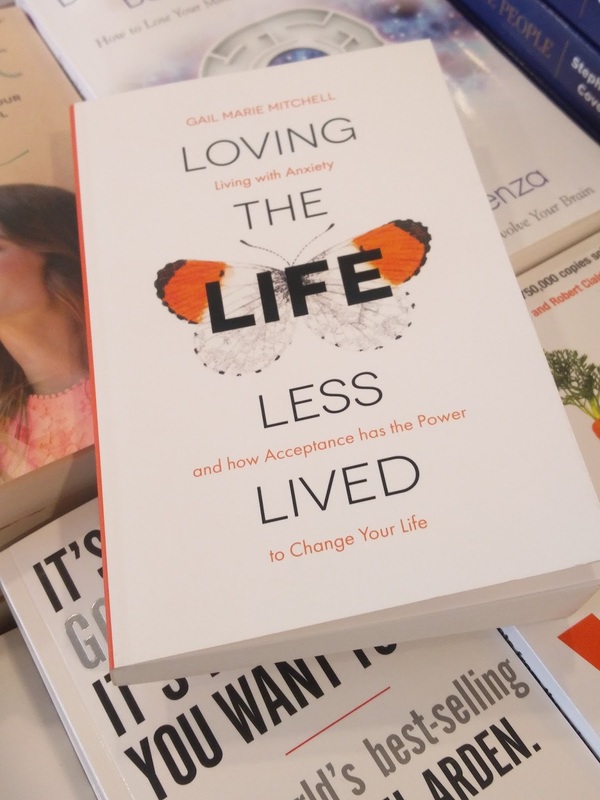 Loving the Life Less Lived is not your usual self-help book. In this in-depth insight into the complex and intricate world of Mental Health and Recovery, Gail shares a deep and personal reflection on her own struggles and journey from the darkest depths of her depression to the present day with tools she's found useful (and those she hasn't) and realistic reflections on the challenges she's faced. She shows an honest attitude and an ability to look in the mirror and not only be proud of her achievements but also have a good old chuckle from time to time. Gail Mitchell is an Author, an Accountant, and a woman determined to live her life to the full with anxiety, depression and a positive attitude. Here is my response to her book "Loving the Life Less Lived"
When I first began this book I confess it didn't sit quite right with me. 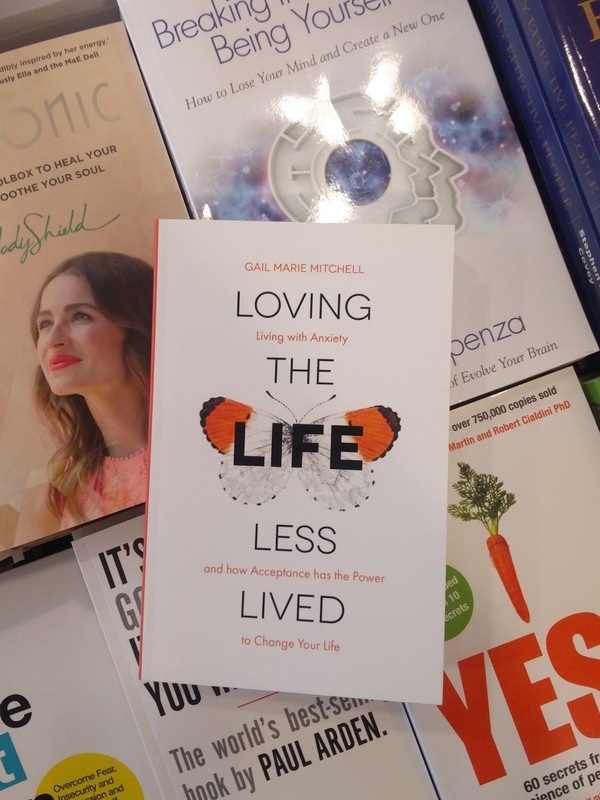 Gail and I are clearly two very different people, with different life experiences but we do share one very close connection - we both have an on-going battle with our mental health. It took me a little while to sink into the book because of our differing perceptions and responses to mental health. Gail found her battle beginning in adulthood, while mine began in childhood, Gail has limited faith in Doctors or Psychologist, while I have a background in Psychology and passionately believe and support it. But what I soon learnt was that we both have a strong desire to live our lives to the full, within whatever capacity that means for each of us individually. I learnt from reading Gail's story that despite our differences you can learn a great deal from anyone's experience, regardless of path, situation in life or personal battles. Simply knowing that others are going through equally challenging day-to-day struggles is a powerful thing, and if anything it can be even more valuable to read the stories of those who've had a different experiences. I found that in reading an alternative journey to mine, I was empowered to acknowledge my own UNIQUE journey. That journey is mine alone and no judgement or opinion of any other person can take that away from me. That is the most memorable tool I take from this book, and one I believe anyone can take home regardless of your situation, environment or life experience. Another running theme that rang true in Gail's shared recollections of her journey, was the importance or recognition, compromise and balance. Gail makes no point of ignoring her weaknesses, and in acknowledging them she makes them her strengths. She doesn't claim to be anything more or less than she is and in that recognises the importance of balancing, it trying to push herself to improve her situation without forcing herself to take it too far. She recognises her limits and accepts herself for who she is. An incredible step in any journey through mental health and an invaluable 'tool' in itself to share with her readers. For me that was one of the strongest take home messages I'll be keeping this book and incorporating into my life whenever I'm able to catch myself. Gail's writing style wasn't always for me, , and her experience may not always be relateable to everyone who reads it, but to some of us it will be, and regardless one thing we can all take from it is that each of our journey's is unique. It is our own, it is individually and it is equally valid. There will be tools we find that work, and those we won't be we are the masters of our own journey and it's in recognising that we can create balance that helps us grow and live life to the full. I'm glad I had the opportunity to read an alternative take on the self-help genre, and the chance to remind myself that we are all different, and that in itself is a wonderful take home message. I thank Gail for that, and I wish her every success on the rest of her journey, and you on yours. That's such a wonderful suggestion as well, It's quite amazing how much of an impact just a short amount of quiet time can have on the rest of our day. Thanks for sharing Margaret! I like to put a face mask on to relax and I try to fit in some housework before work so I have more time for myself when I get home and more family time on the weekends without feeling overwhelmed. I wish I knew! Time in a long hot bath is as close as it gets for me. Find a quiet spot in the garden and sit and think. I love to visit the coast and just listen to the waves crashing.